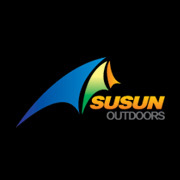 Product categories of Double Camping Chair, we are specialized manufacturers from China, Double Camping Chair, Double Folding Camping Chair suppliers/factory, wholesale high-quality products of Double Beach Chair R & D and manufacturing, we have the perfect after-sales service and technical support. Look forward to your cooperation! 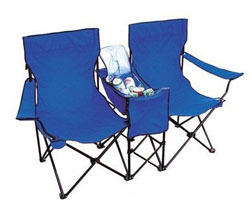 Double chair is just 2person use based on single Camping Chair,double camping chair has a extra cool bag between 2 seats. Totally double chair is made from the same material: Oxford,steel tube. When twins go camping,especially for young people. They can take double chairs,with some beers,Cole. They barbecue and drinking and have their funs. They can put some ices together with beers,coles in the cool bag from the double chair. So they can enjoy cool drinks in hot season. Also some double camping chairs have an umbrella add to it,people can sit under the sunshape. When the double chair is folded,it will be small for carry on. How do you feel that? I think it is COOL!